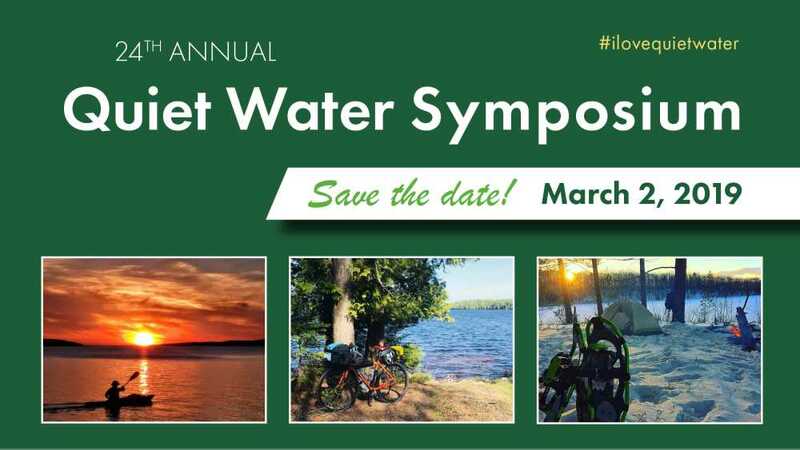 The Quiet Water Society is pleased to announce that the 24th Annual Quiet Water Symposium will be on March 2, 2019, at the MSU Pavilion! In the nearly quarter of a century of promoting non-motorized outdoor recreation, the Quiet Water Society has never had a more interesting time. We will feature more than 200 exhibits, speakers and demonstrations at the MSU Pavilion that attracts well over 2,500 attendees. This includes presentations by noted travel writers, Jim DuFresne and Kevin Callan; the dean of outdoor writers, Cliff Jacobson; as well as several other notable speakers. One of the historic high-points of the Quiet Water Symposium is celebrating the giving of the Verlen Kruger Award. This honor is given annually to a person (or persons) who has supported and promoted paddle sports along with water conservation, education or history in Michigan. Come on out and join us on March 2nd as we network, educate and dialogue with other passionate outdoor enthusiasts!